An intrinsic connection exists between humans and the memories they create; they define who we are, where we came from and our accomplishments and failures. However, decades of research has shown how fragile human memory can be. Almost all human computer interfaces involve vision and most rely on vision as the primary means of passing information to the user . It is worth considering that perhaps this specific form of media interaction requires special care and attention due to its inherently persuasive nature, and the undue reliance that the viewer may place on information presented through a (potentially photorealistic) visualisation medium. Their influence on human memory and behaviour cannot be underestimated. This paper will introduce research undertaken by the author over the past 25 years that has experimented with, and examined a range of visual based presentation technology into courtrooms all over the world. Courtrooms are environments where the decisions made (based on human memory and comprehension) can significantly affect the lives of others. This paper describes research undertaken to assess the effect of visual technology on users (in particular their memory and decision making abilities) and describes some of the issues raised by the experimental results. The work presented in this paper connects psychological research with human cognitive and perceptual processes and limitations, to allow the evaluation and optimisation of visual interfaces. 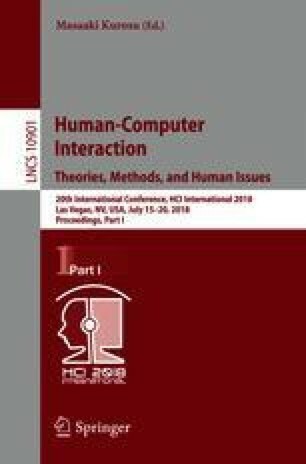 The paper concludes with a discussion of the potential benefits and problems of designing interactive visual technology when considering the impact on human cognition.